We manufacture HDPE pipe joining gaskets which is also used in CI and DI pipes. Our gaskets known for its Durability .These Tyton Gaskets comes in NATURAL and EPDM. It is available in 63, 90, 110, 160, 250, 450 mm sizes . we can also manufacture as per your requirement upto 600 mm Dia and also as per customer specification and drawings. We offer Full Face Gaskets have additional holes for inserting between flanges. These Full Face Gaskets can be made of any material typically used in Gasket and most follow standard ANSI standards for ID x OD X Thickness X PCD X Hole Dia X No. of Holes. Hitesh Steel is a supplier & stockist of Pipe Flange Gasket. Our offered Ductile Iron Pipe Gaskets as manufactured as per IS:5382 standards and EN-618 standards suitable for electrosteel casting, Jindal, Lanco, Electrotherm, Rashmi metaliks & Tata Kubota pipes. 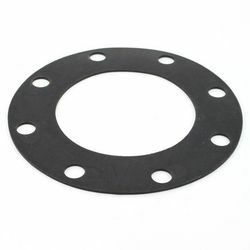 We offer these DI Pipe Gaskets at most affordable prices to our precious customers. Stoneware pipe is a used for low pressure pipeline where Industrial waste water, rain water, domestic waste water and public discharge water is drained out. Stoneware gasket produced by Ravani Ceramics is made from vitrified clay. It is used for sewerage purpose in domestic and industrial area in municipal region. - Gasket materials complies in all respects with physical requirements specified in ASTM C 425-04 / EN 681-1 STD. - This standard confirms for pipe joint system of ASTM-1208, NBR etc, are used according to its applications. 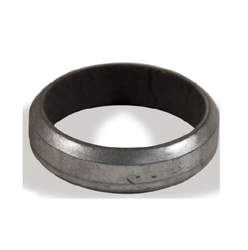 Victaulic Couplings Gasket are used for the application in HVAC and Chiller Assembly. Recommended specially for back pull out pumps & when the distance between shafts is more than the standard. We have a very skilled manufacturing team with precision SPM's .and precise measuring instruments for manufacturing the range of Couplings. We are engaged in manufacturing, supplying and exporting comprehensive range of Reka Gasket Pipes. Our Flange Gasket products are available in varied sizes and have accurate dimensions. We offer Reka Gasket Pipe products after testing them on various norms under the vigilance of our professionals. We source the quality material for manufacturing them from professional vendors of the market.